Technomad’s leadership in audio quality, coverage and rugged durability is well-known in the sound contracting community – especially in harsh environments for stadium and other outdoor installations. The same traits that make Technomad a leading choice for outdoor systems are ideal for indoor systems that require clear speech and/or pristine musical reproduction over short and long distances. 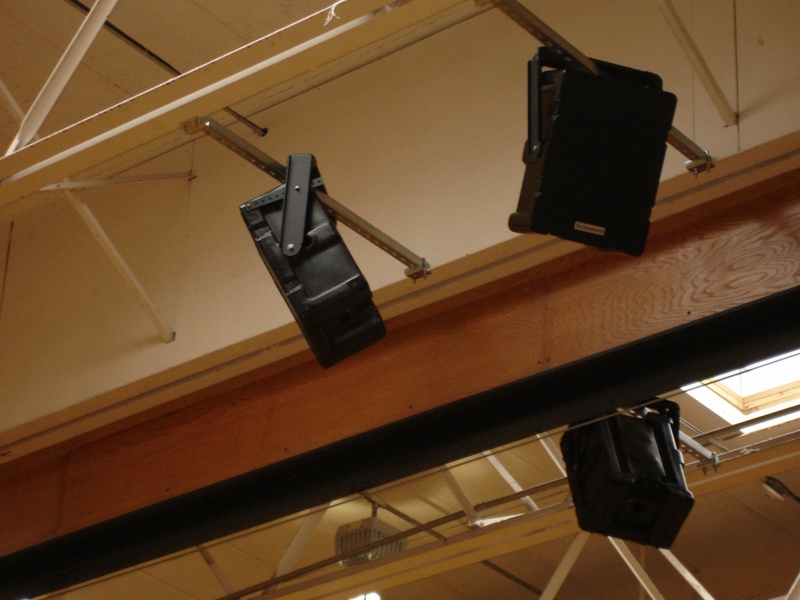 One such example is the gymnasium, where Technomad loudspeakers and Turnkey PA systems are regularly installed for high school and intramural sports such as basketball, as well as presentations and musical events. Alan DeMartino, sales engineer at Syracuse Time & Alarm Co., Inc. in Syracuse, NY., is putting the final touches on an indoor Technomad system for South Lewis CSD Middle School in Turin, NY. 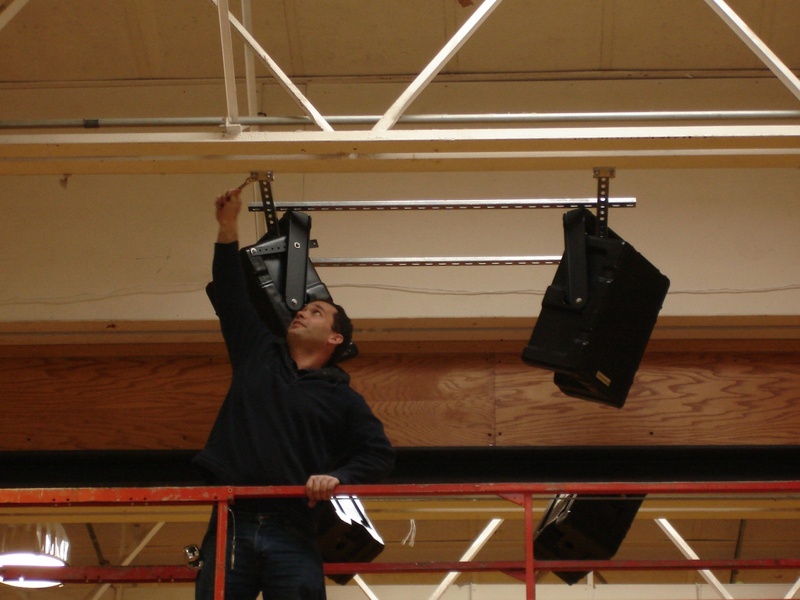 The system features four Noho loudspeakers for a gymnasium that is part of a school-wide renovation project, and will be replicated in a second gymnasium. Technomad offers a variety of loudspeakers for purchase separately or as part of a Technomad Turnkey PA system for stadiums, gymnasiums, restaurants, retail businesses and mobile projects among other applications. 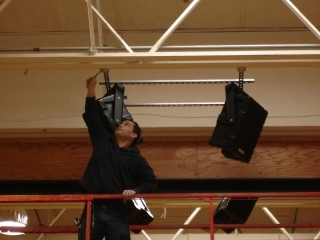 Turnkey PA systems include a 6RU shock-mount rack, a pre-wired amplifier with audio source inputs (iPods, mp3 and CD players), a six-channel mixer, a dynamic wired microphone, cables and connectors. Options include a wireless microphone and the Schedulon mp3 player and recording system to inject audio files and snippets into live events on a scheduled or manual basis.